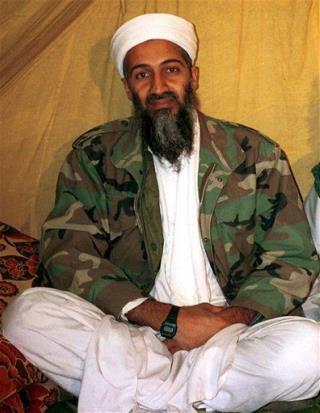 (Newser) – An Afghan guerrilla leader offered to hand Osama bin Laden to the CIA on a silver platter in 1999, asking for nothing more than the $5 million bounty the Clinton administration had already placed on the terrorist leader's head, but the CIA demurred, a former Polish spy alleges in a new book. "They gave us the exact location of the houses where bin Laden would be," what routes he'd be taking, what transportation he'd be using, and more, Alexander Makowski tells McClatchy Newspapers. Hilarious! Who woulda thought: Under Dubya: No. Can't. Have to abide by the law. Geneva Convention. Under Obama: Kill the sumbitch! Who cares if its illegal, Hell, no don't tell Pakistan, just go in there and blow his brains out. Throw his body in the sea. America! And people think Repugs and Dems are different? Drink the koolaid. Oh my. The left and it's insanity are exposed again. Vote Obama!!!!!!!!!!! Because lying, deceit and hypocrisy are the important issues right?